Snickers Clothing .Have redesigned the High Visibility PU Waterproof Range , A beacon in rainy weather. 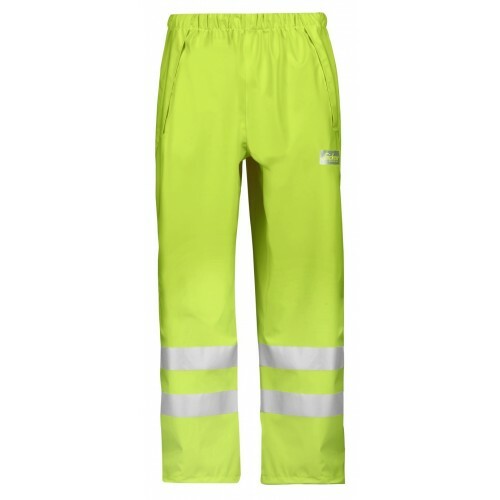 Completely waterproof high-visibility rain trousers. 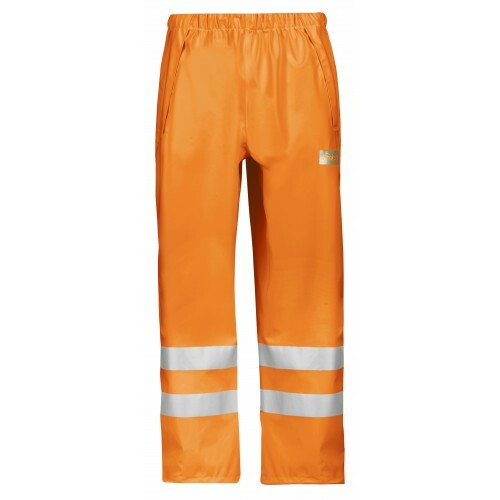 Made of stretchy PU-coated fabric with welded seams to ensure a 100% dry and comfortable working day. EN 343, EN 471, Class 2.